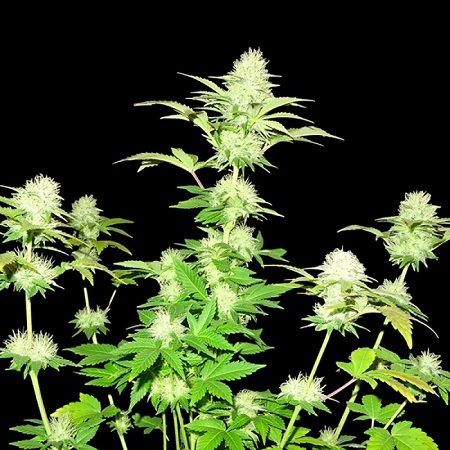 Sumo Seeds is proud to present its White Widow Original in regular version..
White Widow Original Regular Cannabis Seeds by Sumo Seeds: Sumo Seeds is proud to present its White Widow Original in regular version. 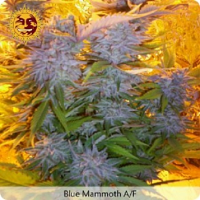 This is a 65% indica cannabis strain that can be grown indoors, outdoors and in greenhouses. 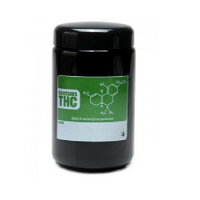 It is a cross between a Brazilian sativa and an Indian indica that has become renowned for its high THC content complemented by low CBD. 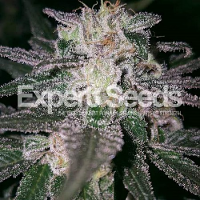 Flowering lasts for a period of 8 to 9 weeks indoors where it will reach a height of between 80 to 120cm. yielding between 400 to 550g/m2. Outdoors plants will be ready to cut down in October in the northern hemisphere or March south of the equator. In this environment plants grow taller reaching about 140 to 180cm. tall with yields of 750 to*- 900g/plant. 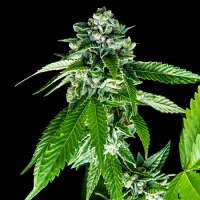 The flavour of White Widow Original is spicy with woody/pine undertones. The effect is rather euphoric and rush-y at first evolving into a relaxing feeling.